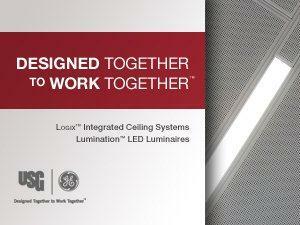 Logix Brand Integrated Ceiling Systems from USG allow you to design ceilings that meet building requirements without being constrained by the limits of traditional acoustical ceilings. Logix transforms visual distractions such as lighting, air vents, and other utilities into dramatic design elements by concentrating these fixtures on narrow channels. This allows for open ceilings that are uncluttered by ceiling utilities and offer a clean, monolithic, custom look with standard components. 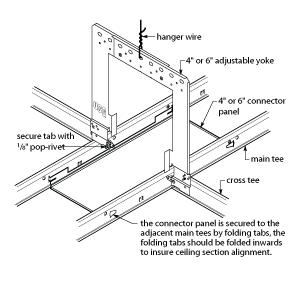 A wide selection of acoustical and specialty panels as well as corresponding suspension system profiles are available to enhance and customize your design. Plus, with a wide selection of Logix partners, you can be assured that ceiling utilities will complement your design and integrate seamlessly into the ceiling. For custom solutions click here to contact your local architectural representative. The LOGIX connector panel is a unique way to visually connect various utilities such as luminaires and channel panels. 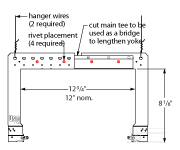 The connector panels are configured to carry the adjacent panel or fixture, no special fixture type or tile edge is needed. Metric sizes are also available. The LOGIX yoke is compatible with both metric and imperial utility channel sizes. 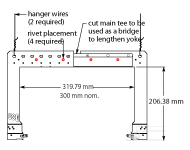 The yoke keeps hanger wire wraps away from linear luminaires and may reduce the number of hanger wires required. 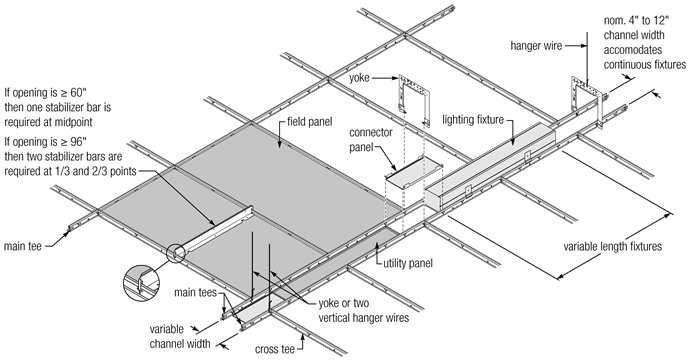 The yoke also helps to brace the utility channel. The yoke is easy to install and seismic tested. The LOGIX yoke is compatible with all utility channel options and applications. The connector panel shown is one of many options allowing the freedom to transform the utilities into dramatic design elements. LOGIX is compatible with a wide selection of 4”, 6” and 12” luminaires including Lumination™ LED Luminaires by GE Lighting Solutions. For more information visit: www.gelightingsolutions.com. 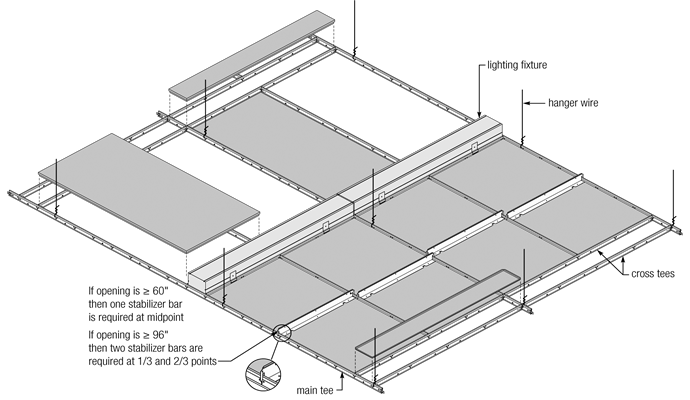 Off-Module units represent assemblies where typical ceiling panel sizes are utilized between the utility channels. 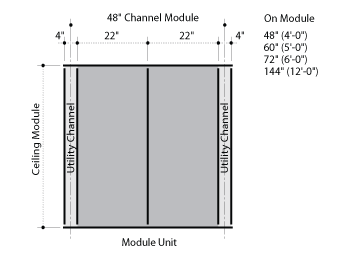 With the addition of the utility channel this creates off-module or nonstandard channel-to-channel spacing. 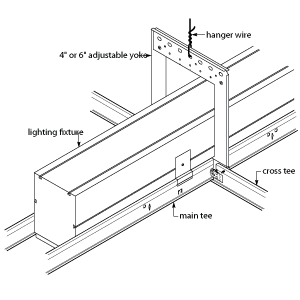 On-Module units represent assemblies where atypical ceiling panel sizes are utilized between the utility channels. 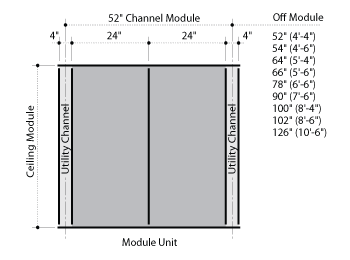 With the addition of the utility channel this creates on-module or standard channel-to-channel spacing.